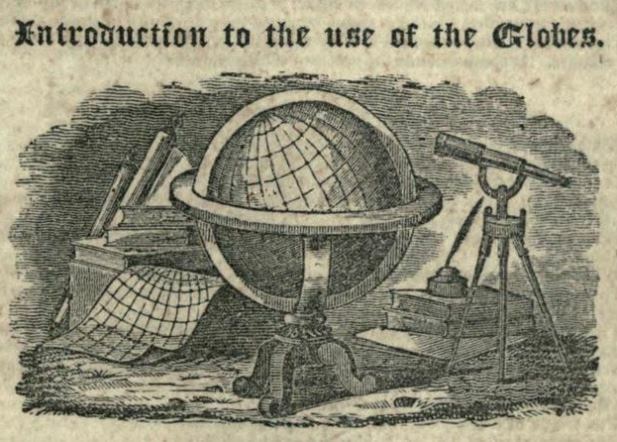 …that in 1828 Jesse Olney published A Practical System of Modern Geography, which revolutionized the way the subject was taught in schools during the 19th century. Olney’s method was to familiarize students with their own local environment and then progress outward toward knowledge of distant lands. The traditional method of teaching geography at the time began with the science of astronomy, starting from the center of the solar system and working towards Earth. Olney flipped this idea, transforming the study of geography from a theoretical framework to a practical and descriptive science. Olney was born in Union, Connecticut, on October 12, 1798. He served as the principal for the Stone School in Hartford for 12 years, resigning in 1931 not long after the book’s publication. “Olney’s Geography” became a standard American text and was used by almost every public and private school in the United States for more than 30 years. The book was enlarged and revised with 98 editions reaching print and millions of copies sold. At the time, sales of “Olney’s Geography” were only surpassed by “Webster’s Spelling-Book.” Olney went on to write other textbooks including: Olney’s School Atlas, A History of the United State: for the Use of Schools and Academies, and The Family Book of History. A lifetime advocate for education, Olney worked to build Connecticut’s system of Common Schools and supported the establishment of the Board of Commissioners of Common Schools in 1838. He served 8 terms as a member of the Connecticut Legislature from Southington and 2 terms as Comptroller. Jesse Olney died on July 31, 1872, at the age of 74 in his home in Stratford, Connecticut. Olney, Jesse. A History of the United States, for the Use of Schools and Academies. New Haven, CT: Durrie & Peck, 1851. Link. Olney, Jesse. A Practical System of Modern Geography, or a View of the Present State of the World: Simplified and Adapted to the Capacity of Youth ... ; Revised and Illustrated by a New Enlarged Atlas. 48th ed. New York, NY: Pratt, Woodford & Co., 1849. Link. Olney, Jesse. An Elementary Geography Adapted to Olney’s Outline Maps, for Common Schools and General Use. New York, NY: Pratt, Woodford & Co., 1847. Link. Olney, Jesse. Olney’s School Atlas... New York, NY: Robinson, Pratt & Co., 1841. Link. Olney, Jesse, and John Warner Barber. The Family Book of History; Comprising a Concise View of the Most Interesting and Important Events in the History of All the Civilized Nations of the Earth. Philadelphia; New Haven: G.N. Loomis; Durrie and Peck, 1839. Link.